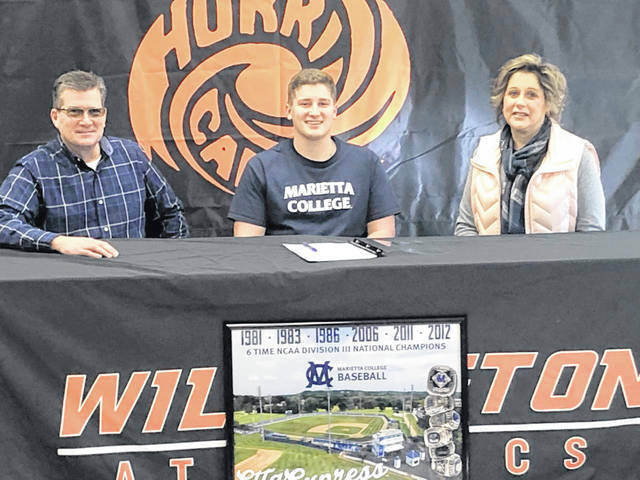 Wilmington High School senior Alex Meyer has decided to continue his academic and athletic baseball career at Marietta College. WHS coach Brian Roberts said, “We knew Alex was talented when he came in and he worked hard during the season and offseason to become even better. He has really become a leader and is quick to help others. He will be successful at the collegiate level.” In the photo, from left to right, Randy Meyer, Alex Meyer, Shannon Meyer.